Venue: Keltron Knowledge Centre, Vazhuthacaud Bakery Junction Road, Vazhuthacaud. Project Management Institute (PMI, USA) is a world recognized body that promotes the discipline of Project Management. PMI also conducts an internationally recognized certification exam called Project Management Professional (PMP) certification. This certification is valid across the globe across industries and is rapidly becoming the de facto standard for project managers. Project risk management and Project procurement management. 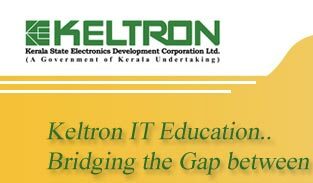 The training from KELTRON involves a 4-day intensive training program with 3 months of post-training support. Upon completion of the course, the candidates would receive a certificate from KELTRON and a R.E.P. (Registered Education Provider for PMI) certificate which makes the candidates eligible to take up the PMP examination.. The four day program is to be held over 2 weekends. The course is a PMI® pre-approved PMP® Certification Exam Prep Course and fulfils the Pre Requisite requirement for the PMP® Exam application as determined by PMI®. Better career opportunities and International recognition. Improved skills, knowledge & self confidence. Shows your Commitment as a Project Manager. Team leads, Project leads etc.. Individuals from IT, ITES, KPO, Telecom, FMCG , Manufacturing, Construction, Oil & Gas etc..
Additional REP certification would be provided by Infycareer, a globally registered education provider for PMI, USA. Admission started for next batch. For registration and details contact 8129650687. 1) 2nd Floor, Chempikalom Building, Bakery Jn- Womens College Road, Vazhuthacaud, Thiruvananthapuram- 695014. 2) Syrian Church Road, Spencer Junction, Thiruvananthapuram.